Our organization is counted among the most prominent manufacturers, suppliers and exporters of an optimum quality range of Electrical Panels. Under this category, we offer highly reliable Electronic Timer Panel, Transducer Electrical Panel and Data Logger Electrical Panel. We have manufacture this range in accordance with the set industrial standards by making use of qualitative factor inputs. These panels find their wide usage in hospitals, research laboratories, commercial buildings and telecommunication industries. 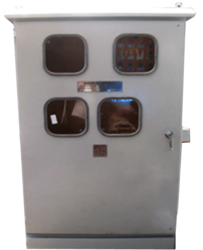 With an aim to stand tall on the expectations of patrons, we are engaged in offering Electrical Marshalling Box. We provide these marshalling boxes to patrons as per their specified details so as to suit their varied requirements. Moreover, we make use of quality-approved raw material for the manufacturing of these marshalling boxes so as to ensure their compliance with established quality standards. 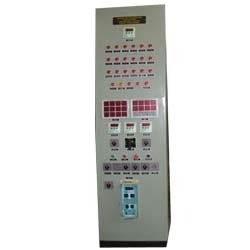 Understanding the requirements of power sector, we are engaged in manufacturing, supplying and exporting RTCC Control Panel . To ensure that offered control cubicles are durable and give optimum performance, we manufacture these by using supreme quality raw material that is procured from the trustworthy vendors of the industry. Post production, we make these control cubicles undergo a quality check so as to ensure their synchronization with the established quality standards.